I used a 249 OHM resistor to drop the amp turn on (white/red)voltage so that the sub doesn’t pop when the radio is turned on/off. Using a male RCA connector, you can wire into the low level factory input wiring (white/black,grey/black) so that it will accept the female sub output on the aftermarket radio. Make sure that the new deck has an adjustable/low-pass sub out, or you will need an adjustable crossover. Good luck, and have fun!! Cut the RCA cable in half and strip it like this: The white area is the positive and the other area is negative. 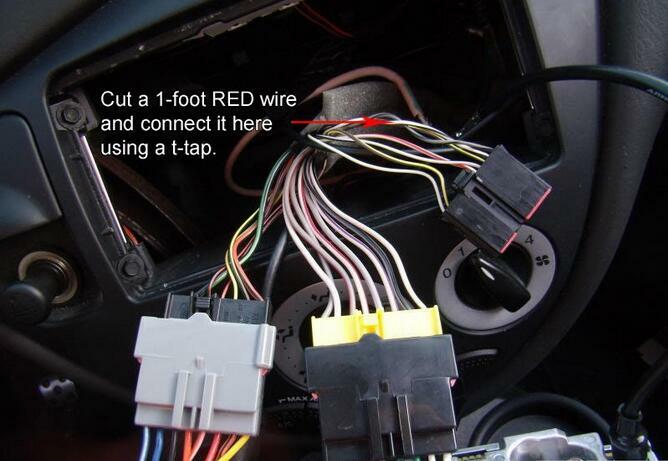 Cut two 1-foot (1 Red, 1 Black) of 16-gauge wire and connect it to the spliced RCA wires from Step 1. Red with positive and black with negative. Note that the RCA end will plug into the sub output from your receiver. Cut another 1-foot of 16-gauge BLUE wire and connect it to the red and white wire. This wire is for the remote (turns your amp on and off with the ignition position). Cut another 1-foot of 16-gauge RED wire and connect it to the black and white wire. This wire is for the positive sound input. Cut another 1-foot of 16-gauge BLACK wire and connect it to the black and grey wire. 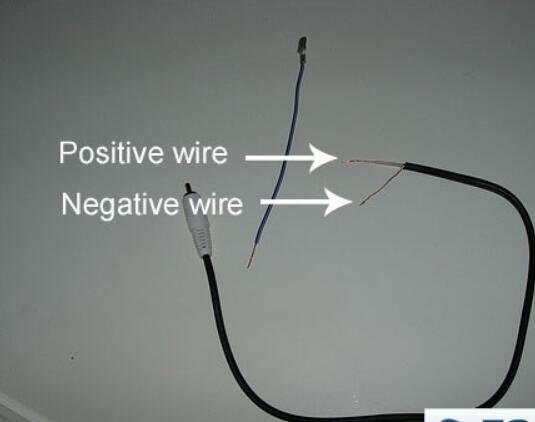 This wire is for the negative sound input. 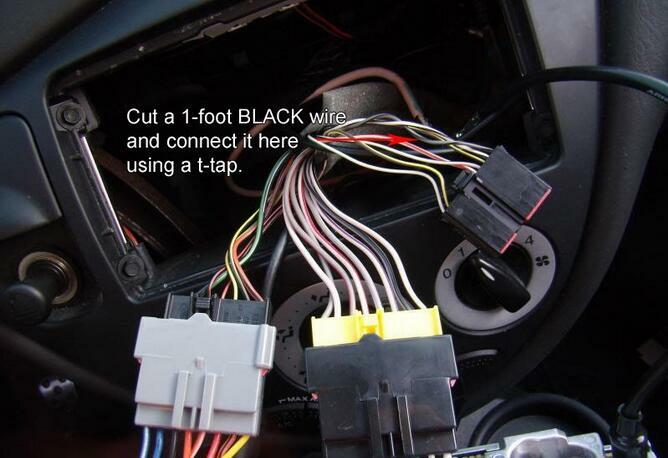 The BLUE wire from Step 3 needs to be connected to the remote switch wire from your deck (This color varies depending on your head unit model, consult your owner’s manual). If you get a popping noise then you will need to install Resistor between the two to lesson the load.